Prior to launching into a longform version of personal history, Travis Meadows gives an elevator pitch on his past in four short sentences. He flashes his life across a screen with the description, ‘An orphan who turned into a preacher, A preacher who turned into a songwriter, A songwriter that turned into a drunk, A drunk that is learning to be a human being’. 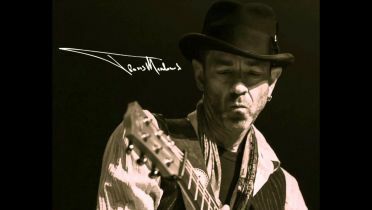 On his latest album release, First Cigarette, Travis Meadows exposes the feelings he has collected over the years rather than providing the details of what has gone before. On the title track, he masterfully shows a man attempting to break free, unsatisfied with what he had asked for and received yet enjoying the ‘comfort when it comes like a “First Cigarette” in the morning buzz’. The words of Travis Meadows hold up a mirror, taking us back to our own past by carefully creating the atmosphere surrounding those events. The teens hanging out in the limbo of a late-night parking lot, caught in the middle of a too-close life of a child and the seemingly faraway days of an adulthood, unable to find their place in the world until a song comes on the radio and they can fit themselves into the storyline with “Pray for Jungleland”. First Cigarette carves a groove with a solid rhythm to recall a time when being hip hit the homerun with “Long Live Cool” as maturity remembers youth and ‘all those years I took for granted’ driving down “McDowell Road”. Demons receive mindful examination on First Cigarette, the stories never succumbing to bitter as their characters strive to be better. That model sums up the intention that Travis Meadows has going into the songwriting, believing that ‘I feel like what I’m doing is giving people permission to be okay with who they are, where they’re at now. A lot of us say stuff like, ‘If I’d been married to this guy or this girl, or if I had enough money, or if I had a better job. If I wasn’t an alcoholic, or if I drank more. If this, if that, then, I think I could be a better person’. I think the key to life is being okay with who you are’. Admitting who we are is what frames the tale of “Travelin’ Bone” as “Sideways” strums for spare change to ‘buy myself a conscientious that wasn’t broken’ while “Hungry” chews on the need to keep challenging ourselves and “Underdogs” stomps out a beat for the community that comes together in its chorus. 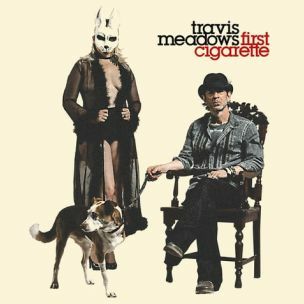 First Cigarette tenderly embraces a solitary existence educated on the drifting melody of “Better Boat” and sends out hopes that life’s lessons show both sides of the coin in “Pontiac” as Travis Meadows brightens the beat to put his gratitude on full display in “Guy Like Me”.